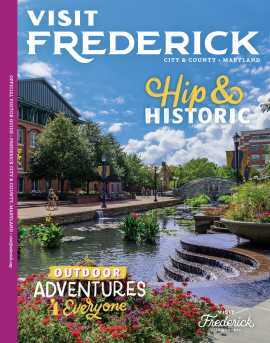 Make memories with your family riding in a horse-drawn carriage through Downtown Frederick or through the Frederick County Countryside! Carriage will leave every 30 minutes from the parking lot of 327 N Market St, beside Olde Towne Tavern. This is a different location from where the carriages picked up last year. Please arrive at least 15 minutes prior to your scheduled ride time to check in. Leaving from Talley Recreation Center on 2nd Street near the fitness center entrance. Warm up with a hot beverage and a snack at these cafes and restaurants!